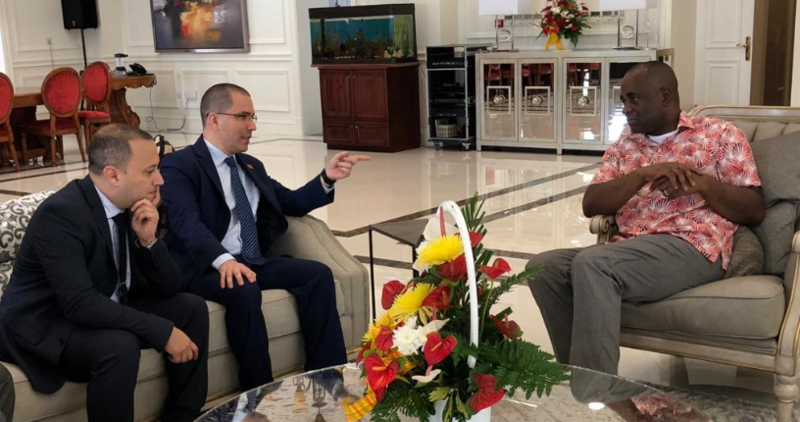 On the occasion of the celebrating the 40th anniversary of the Independence of the Commonwealth of Dominica, on Saturday the Foreign Minister of the Bolivarian Republic of Venezuela, Jorge Arreaza, held a bilateral meeting with the Prime Minister of the Caribbean nation, Roosevelt Skerrit. The bilateral meeting was opportune for the exchange of ideas in order to strengthen the bonds of friendship and cooperation between both countries. In turn, on behalf of the Bolivarian Government, FM Arreaza participated in the national parade commemorating the Independence of Dominica. It should be noted that on July 31, the Venezuelan Foreign Minister and the Prime Minister of the Commonwealth of Dominica, held a meeting for the strengthening of regional integration mechanisms such as Petrocaribe and the Bolivarian Alliance for the Peoples of Our America- Peoples’ Trade Treaty (ALBA-TCP). The Commonwealth of Dominica achieved its independence on November 3, 1978, being until then a colony of the United Kingdom.